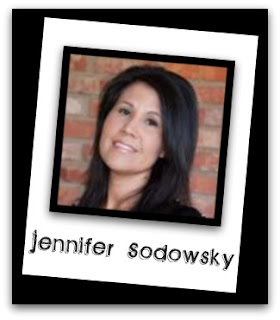 Blog Quick Quotes: Introducing... Jennifer Sodowsky! My name is Jennifer Sodowsky and I live in Ponca City, Oklahoma with my hubby and 3 kids, Luke (17), Hannah (15), and Jasmine (4). This will be my second term on the Quick Quotes design team and I am so excited for this amazing opportunity! I will also be teaching Quick Quotes classes at a few of the conventions this year, so be sure to stop by and say hello! I take a lot of photos, so I mostly scrap 12x12 double page layouts, so you will see a lot of these from me. I also took the plunge into creating mini albums this past year and found that I really love it! It has been a wonderful experience to be a part of the Quick Quotes family. I am looking forward to the upcoming year and making my contributions in support of this unique and remarkable company! Please welcome Jennifer back to the Quick Quotes Team! Congrats on your 2nd term Jennifer! I am so excited to be working with you this year on the QQ team! Congrats Jennifer :) Looking forward to getting to know you! Congrats on continuing with the team! Looking forward to seeing more from you this year! Welcome back Jen. Your work is always so inspiring. So glad I get a chance to work with you on the Quick Quotes design team! So happy to see you back again this term, Jennifer! Looking forward to seeing more of your marvelous creations. We're so excited to have you back with us for another term Jennifer! Can't wait to see your new creations with Quick Quotes!!! Hi Jennifer! I love making minis too! I can't wait to check your minis out!! I am sure they are amazing!